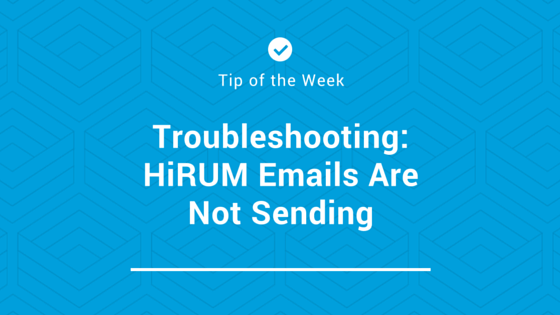 If emails are not sending from HiRUM or the email box is not appearing, the problem can be resolved by accessing your PDF settings. Click on Tab 9 – PDF settings. If the field is blank then insert C:\HirumPDF\, restart HiRUM and try again. If it is still not working, please log a support job and our team can assist.